After experiencing the bad consequences of using too many non-organic substances, things are coming full circle, and human beings are now going back to their roots. Uses of organic substances have increased in this millennium, be it vegetables, meat or fruits. Now the net use of organic items is expanding and many other items are coming with organic disposition. One fine example is that of organic mattresses that are made of hundreds of organic supplies instead of synthetic and rather toxic materials. 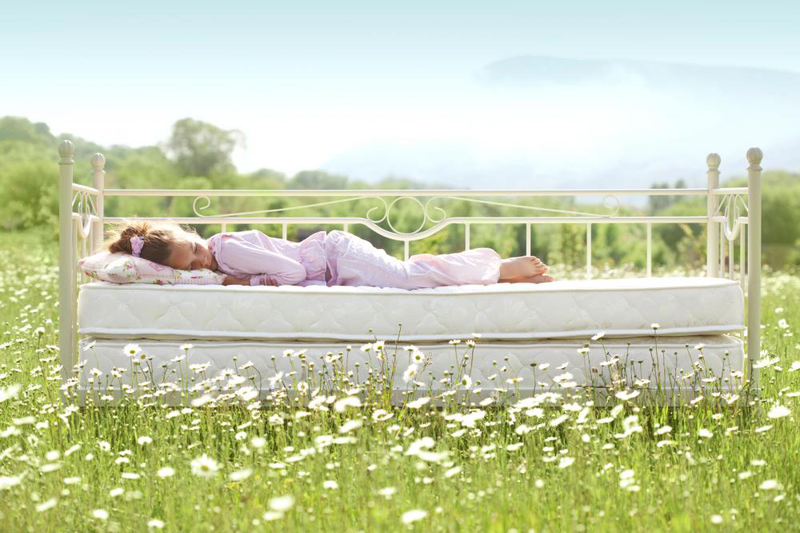 People prefer to sleep on organic mattresses due to a variety of benefits. People sensitive to allergies become more vulnerable to chemicals and toxins used and found in conventional, non- organic mattresses. Synthetic polyurethane, an integral part of traditional mattresses, is considered a well-known allergy trigger. You can’t get a good night’s sleep if you are constantly getting allergic reactions, or worse, respiratory problems from the synthetic material of the non-organic mattresses. Organic mattresses are made of anti-microbial, antibacterial materials. They are also natural dust and mite repellents and mold/mildew-resistant. All these properties of an organic mattress make it a perfect choice for an allergy-free fixture for your bed. Conventional synthetic mattresses are very fluffy and incompressible at the time of purchase, but soon they start to lose their shape and decrease the comfort level for which you spent money on them. With organic mattresses, that is not the case since they are strengthened by the permanence and flexibility of non-synthetic fibers so you can continue to get abundant and comfortable sleep because they bounce back to their original shape. According to Chinese medicines and Indian Ayurvedic medicines, pressure points are certain sensitive areas on one’s body surface. Simulation of pressure points assists in relieving different bodily pains. Many handmade organic mattresses are made in such a way that they have in-built pressure point support areas. With having such pressure point support in your organic mattress, you can have an all night massage therapy while you are sleep. Not only will you have a good night’s sleep, but you will experience a less-strained body after waking up. Organic mattresses are best suited for people with back pain problem and arthritis patients. People recovering from sports or other related physical injuries can also use organic mattresses for the benefits they offer. Mattresses made of 100% organic latex, wool and cotton help in regulating body temperature. Body temperature plays an important role in better sleep. Since organic mattresses are made of porous subunits, they serve as good ventilators and help in regulating the body temperature. The permeable nature of organic mattresses makes them better for both winters and summers. You can also sleep better -- with a peace of mind – knowing that you are using a product that is not harming the planet. Many organic mattress products are handmade, all the steps involved in the making of an organic mattress leave nearly no carbon footprints on the environment.